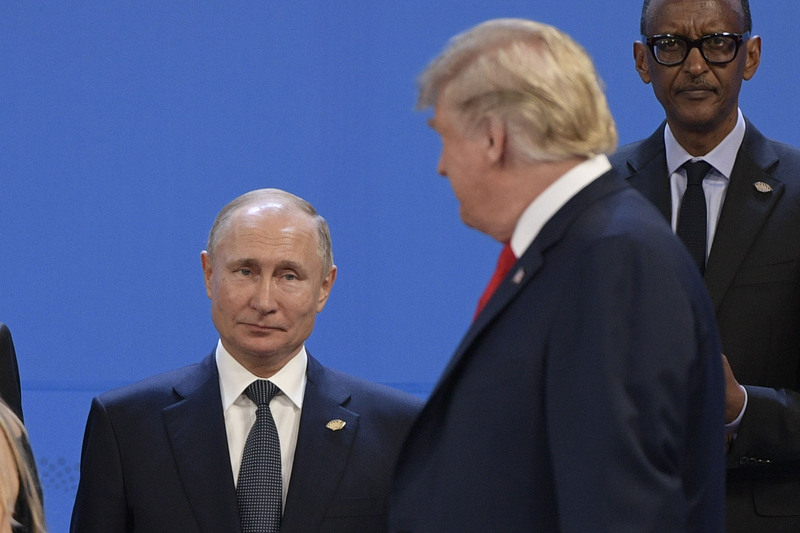 Russian President Vladimir Putin said Russia is “open to dialogue” with the U.S. in a holiday message to President Donald Trump on Sunday. The Kremlin released multiple holiday greetings from Putin to world leaders and governments Sunday, reported CNN. In a congratulatory message to President of the United States of America Donald Trump on the occasion of the Christmas and New Year holidays, Vladimir Putin emphasized that Russian-American relations are an essential factor in ensuring strategic stability and international security, and confirmed that Russia is open to dialogue with the United States on the widest possible agenda. Putin discussed meeting with Trump as recently as Dec. 20. Russian Foreign Minister Sergei Lavrov was quoted as saying the chances of the two leaders meeting in 2019 would depend on the U.S.
“The issue should be addressed to Washington. Both our president and his representatives have said that we are ready for the talks when Washington is ready for it,” Russian news agency TASS quoted Lavrov, according to Reuters. Special counsel Robert Mueller’s investigation into Russian interference in the 2016 presidential campaign continues since its beginning in May 2017. Mueller started writing his final report, according to some outlets.